Based on your specific needs and requirements, we offer a complete range of quality control inspection and testing services. Quality Control inspections specialists since 2005, Sunchine Inspection focuses on providing product inspections, audits, lab testing and product certifications services to any buyers looking to secure their imports from China and Asia and ensure the products' quality, safety and compliance. 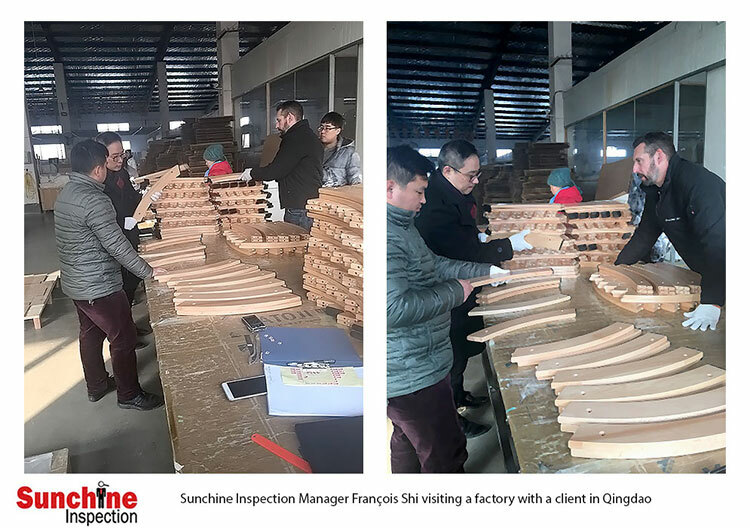 Chinese-French managed inspection company, with ISO 9001:2008, CNAS 17020 and AQSIQ certifications, Sunchine Inspection is fully qualified to help you improve and optimize your suppliers chain in China and Asia. Our sound inspection network, 120 highly qualified full-time inspectors in total, covers almost all the important industrial regions of China. In other Asian countries, we have highly trained inspectors in main industrial cities. 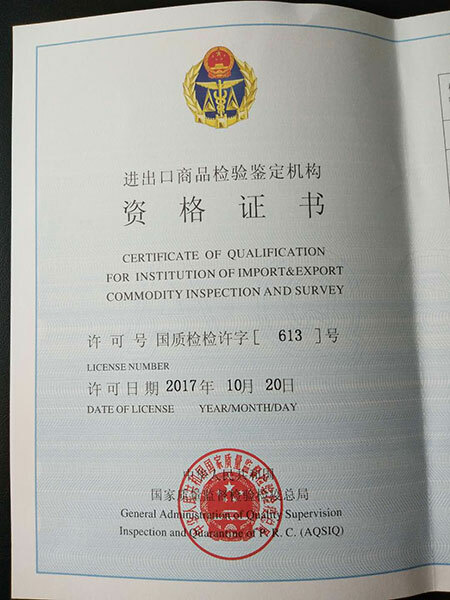 Compared with many other inspection companies in China, we neither hire freelance or junior inspectors nor outsource our inspection services. We only have professional full-time accredited inspectors carefully hand-picked for their integrity, their efficiency and their expertise in the industry they inspect. Each inspector receives 120 hours of training per year. Their work is supervised by our strong technical inspection department, established in 2010 and reinforced along the years. We have the necessary experience of expertise to inspect about all kinds of products and deliver professional inspection services of high and constant quality in China and Greater Asia. Each service is carefully prepared and carried out as per the strictest international standards and the client's requirements. Many importers rely solely on pre-shipment inspections. It may then be too late to solve small problems or errors which can make the shipment worthless. Carrying out two or more quality control inspections is recommended when you are working with a new factory in China or making a first-time order or ordering complex products or when too much problems where found during the previous production inspection. We can customize flexible inspection program specially for you and suited to our inspection budget. The cost will be far less than trying to fix a mess later. Moreover, our experts can advise you all along the purchasing and producing process in China and Asia, and can also help you to resolve any issues you might have with your imports from China and Asia. 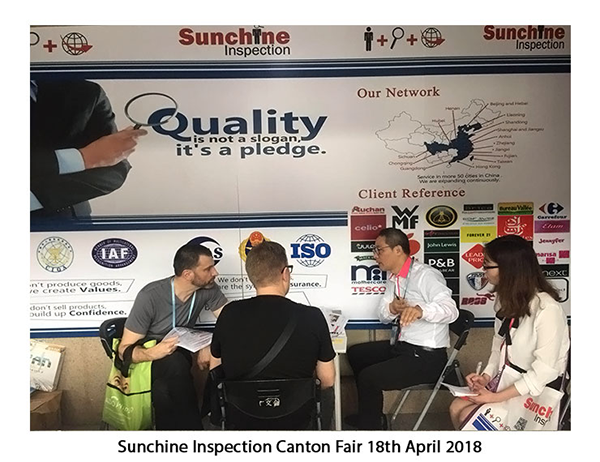 Provide highly professional service, be attentive to our clients’ needs, concerns and requirements, advise them at the best of their interests in China and Greater Asia is the duty of each member of Sunchine Inspection. 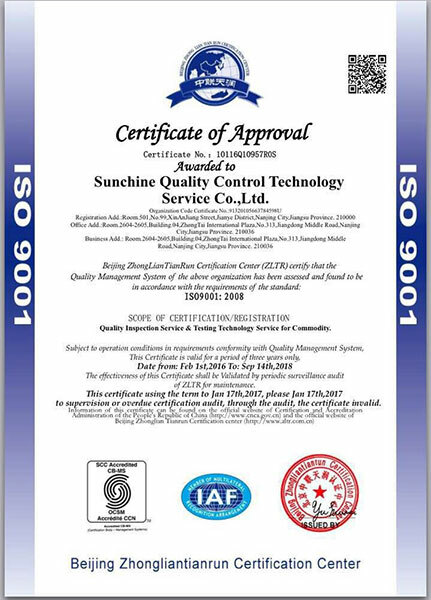 Sunchine Inspection is a third party inspection company certified ISO 9001 and has the AQSIQ license. AQSIQ is the acronym for "The General Administration of Quality Supervision, Inspection and Quarantine" which is a ministerial-level department under the State Council of China. AQSIQ is one of the major quality management institutes which collaborates with recognized foreign organs outside China. AQSIQ defines the National settled criteria level in China to perform audits and product inspections in China. AQSIQ is serious and very strict and fully responsible for entry/exit of product inspection in China. So, obtain the AQSIQ license is not easy. Only inspection companies proving their reliable expertise and abilities can get the AQSIQ license after being thoroughly controlled and assessed by ASIQ organization experts. Therefore, if the inspection company you are cooperated with has no AQSIQ license, you can't be protected by law because their services cannot have no legal effects. We provide product certification services and a complete range of highly professional third party inspection services provided in China, Turkey, Pakistan, India, Indonesia, Vietnam, Bangladesh, Cambodia, Philippines, Malaysia, Taiwan, South Korea and Sri-Lanka. Constant oversight in your factory with daily reports on quality and production status to identify, fix problems quickly and implement corrective actions in real-time. Thorough inspection of the first article produced at the start of production run; the FAI ensures that the factory has totally understood all your specifications and requirements. First article inspection is crucial to the manufacturing process. Inspection of machinery, materials, components and accessories to be used for your order prior to production. The IPC gives you a clear vision of the production planning and process and helps to prevent possible deviations and flaws that could affect the quality of your goods. Control and recommendations for production processes and capacity; this inspection takes place when between 20 % to 60% of your production is completed. The inspector checks workmanship quality, raw materials, product appearance, cartons & products weight & size measurements, functionality assortment, accessories, labelling & logos, packaging, packing and other special requirements depending on the product specifications and the export market. The unfinished products and the compliance with the initial planning of production are also verified. During Production Inspection improves your control over production, permits timely correction of flaws and improvements in quality. This inspection, the most important, guarantees the conformity of the production to your specifications and international standards. The pre-shipment inspection is performed when 100% of the production is finished and at least 80% of the products packed in export cartons. Our accredited inspector checks on-site the completed products, the packaging and the packing by sampling according to the method AQL ANSI/ASQ Z1.4 (ISO2859.1) and client’s specific requirements. He also conducts the necessary tests on product to assess its construction & assembly, safety, reliability, functions, functionalities and functioning. Comprehensive inspection of 100% of your production conducted according to your instructions and our accredited inspectors’ ‘experience. Each product is attentively checked searching for eventual defects and non-conformities. The defective products are separated from the good products. Some products can be reworked other not. 100% Inspection service is particularly advisable for products of high technology, products with high added value or after failed random inspection results. The maximum of units that can be checked per man/day depends on the product specifications and client’s requirements. The Container Loading Inspection . also called Container Loading Check guarantees that the right goods and the right quantities are loaded in totality in a safe and secure way onto a container in good condition. The inspector verifies that the goods delivered are compliant in all respects with the client’s specifications (quantities, characteristics and quality) and are packed and loaded safely and securely. The general state of the container, its process of loading and the closing and the installation of the seals are also checked attentively. Comprehensive assessment of the factory’s production facilities and organization, capabilities and abilities. We can customize the factory audit to address specific concerns the client should have and look more closely into specific areas of the factory that are critical to his/her project. Performed according to ISO 9000 standards and client’s specific requirements, the factory audit lets you know exactly if your factory meets your requirements in terms of quality, production capacity and delivery deadline. Laboratory Testing: Performed by internationally certified independent Chinese laboratories; Ensures your importing products are in conformity to international regulations. We guarantee that the samples tested were taken from your production by our inspector, and not from a selection chosen by the factory. 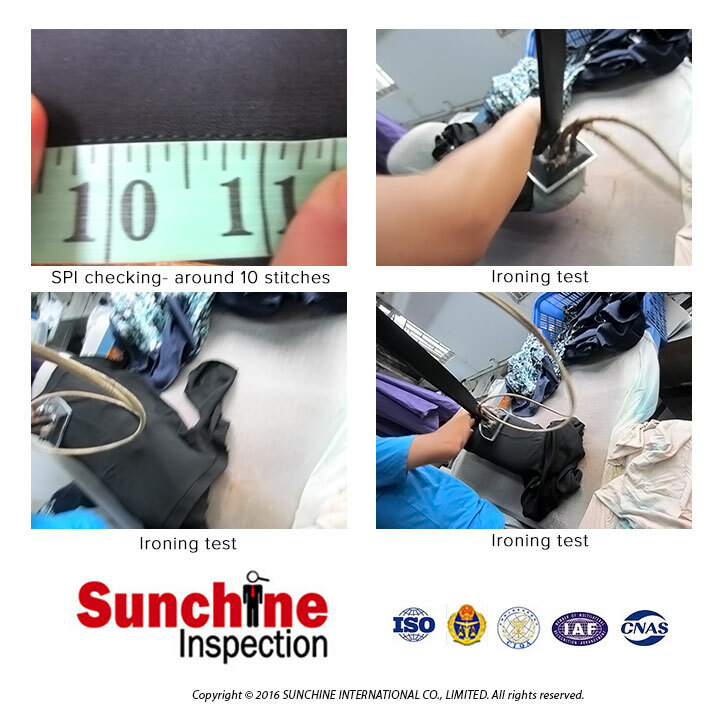 Sunchine inspection assumes full responsibility concerning the result of our lab tests. We are capacitated to provide product certifications (certificates of conformity): SASO certificate, VOC, certificate CoC certificate, SONCAP certiticate, PVoC certificate, BIS certificate, NOM certificate, INMETRO certificate,IMRAM certificate, GOST certificate, KUCAS certificate. Thorough analysis of all the documents provided by your supplier to protect your company against the fraud and non-reliable suppliers; SFA provides you with first information about the legal status, the reliability and the solvency of your future supplier in China. Tele- Investigation Service Level 1/ Over-the-phone interview of your supplier: Cost-efficient service from USD 89.00 to protect you against the scammers and dishonest vendors in China; a consultant, specially trained for this service, gathers the essential information about your supplier in China; we briefly analyze the supplier's replies and send you a concise report the same day. Tele- Investigation Service Level 2. Same service as the tele-investigation service level 1 but it includes the verification of all the supplier’s official documents (business license, tax registration certificate, export license, certificates and certifications, etc.). Third party inspection company Certified ISO 9001:2008, CNAS 17020 and AQSIQ. Professional in quality management and 100% dedicated to inspection services since 2005, we can help you to make the factory audit and assessment and provide third party inspection services at each stage of production. Chinese/ French Management team with an extensive background in International Trade and Quality Management in France, China and other Asian countries. Extensive QC experience; Full-time QC only; Highly trained inspectors specializing by Industry, Technical Inspection department and strong detection capability to provide the buyer with the most reliable product quality guarantee. Tailor-made inspection services. Just explain us your needs and concerns and we will design a specific inspection program to help you ensure the quality and compliance of your goods and the reliability of the supplier. 120 highly qualified full-time inspectors spread over 55 industrial cities in China. All our inspectors have an excellent technical knowledge of the products they inspected matched with five years minimum of on-site quality control. 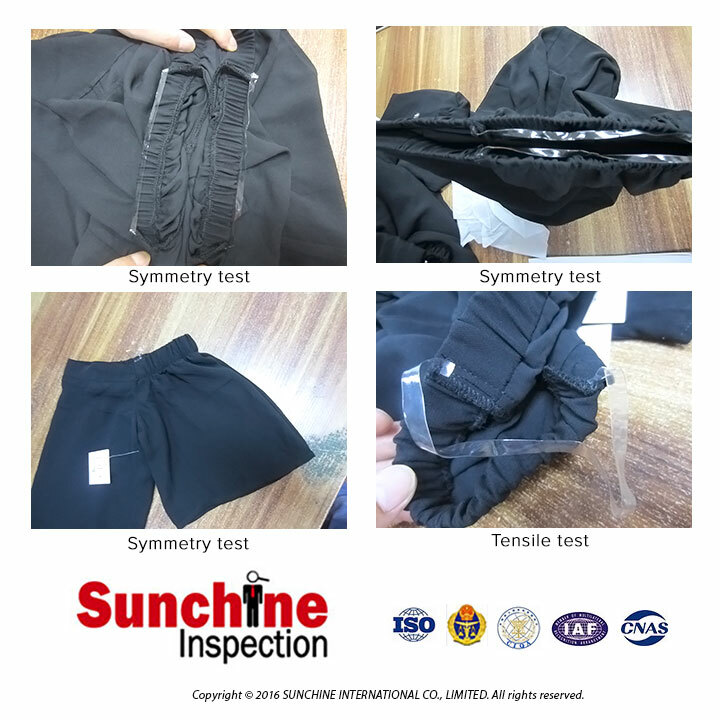 To get optimum inspections results, Sunchine Inspection always arranges the inspector according to your product classification. All our inspectors are experienced, very knowledgeable and experts in the field of products they inspect. Certified inspector on-site at the factory within 48 hours’ notice in China and 72 hours’ maximum in Greater Asia. Audits and Quality Control inspections performed as per the strictest international standards and client’s quality control checklist. Product Quality Inspection includes: Product’s Quantity, Packing, Labelling, Quality and Compliance Check, Size & Weight Measurements, a serie of on-site Testing to assess the product's construction & assembly, safety, reliability, functions, functionalities & functioning. Well-structured and Comprehensive inspection report with lot of close-up shots, our comments and observations provided within 24 hours’ maximum upon the completion of the inspection service. Videos can be attached to the report. All our inspection reports include several charts and a summary which describes the main findings of the inspection and let you know the real status of your product. If needed, we can send you an inspection’s summary the same day upon the completion of the inspection. Sample quality inspection report and sample factory audit report are available. We have the necessary experience and expertise to inspect all kinds of products in China and Asia and to help you to resolve quality issues in China and in Asia. We help you to be successful in China and in Asia. Our Quality Management Department can advise you all along the purchasing and production process in China and Asia. Proven Product expertise on all products and imports from China, Turkey, Pakistan, India, Sri Lanka, Bangladesh, Cambodia, Vietnam, Indonesia, Malaysia, Philippines, Taiwan and South Korea. 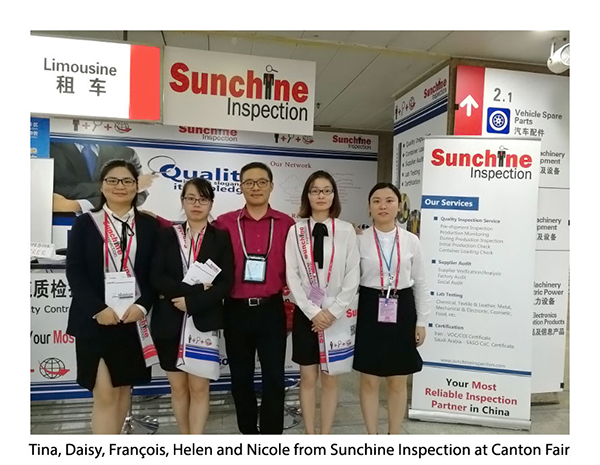 Fully certified third party inspection company founded in 2005 Sunchine Inspection is 100% dedicated to inspection and product certification services. It is one of the leading third-party inspection companies in China. We serve over 1,600 regular clients in various fields coming from 90 countries around the world. We have a strong technical inspection department and our own inspectors network present in more than 50 mains cities in China, which covers almost all important industrial regions in China. In other countries, we only have inspectors in the main industrial cities. Specialized by industry, our highly qualified accredited inspectors are trained to detect products containing non-standard or non-compliant components. 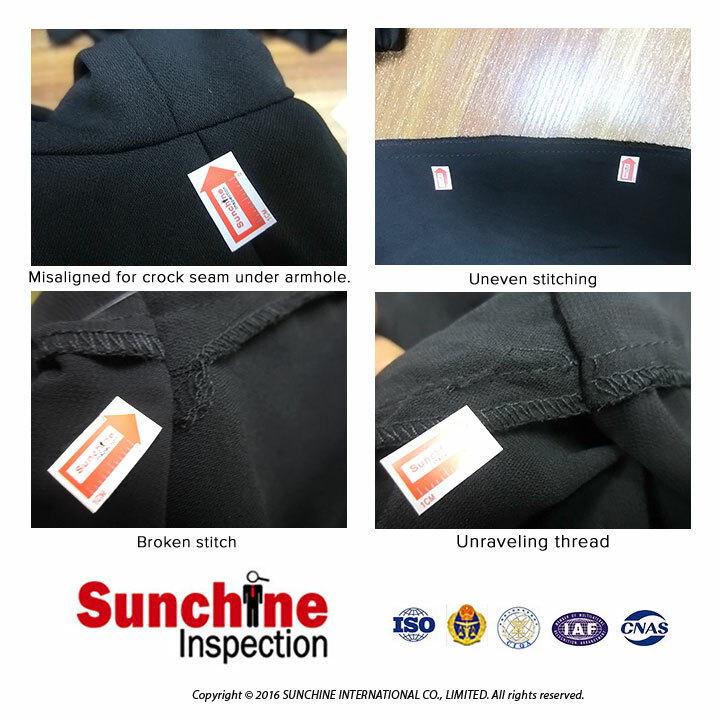 Sunchine Inspection lets you know every detail of your production. Small errors can affect the finished product significantly. Sunchine Inspectors pay close attention to these small details that other inspection agencies may overlook. 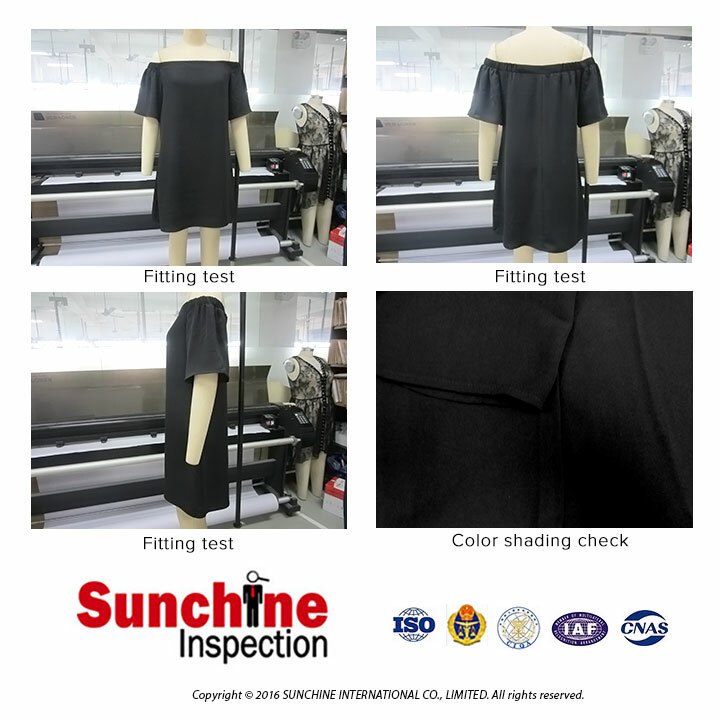 Sunchine Inspection provides comprehensive testing, inspection and certification services which cover all ranges of market and product standard in the world. We have an excellent reputation QC in China. Based on a rich QC experience and strong testing capability, we provide buyers with the most reliable product quality guarantee. 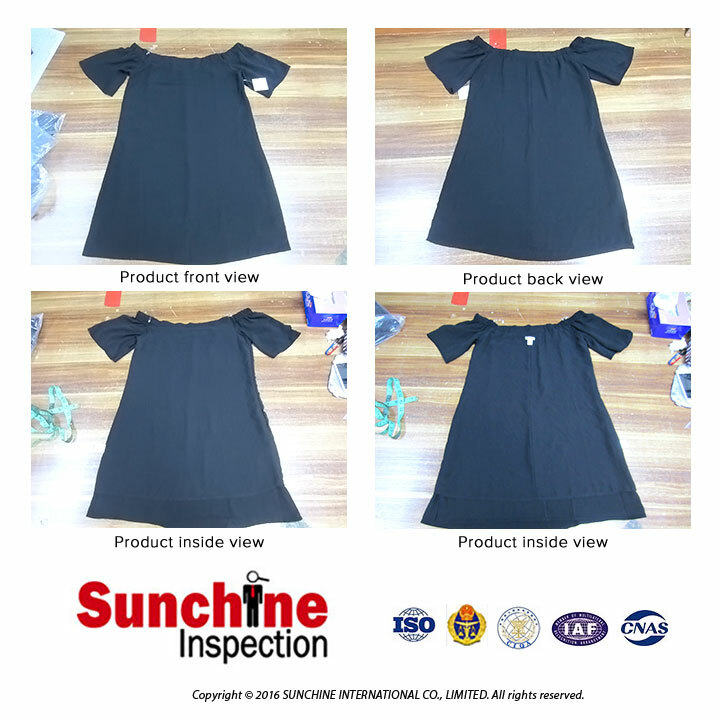 Totally independent from Asian manufacturers and wholesalers, Sunchine Inspection aims to maintain the highest standards in quality control in China and Asia and focus in defending and protecting the interests of our clients in China and in other Asian countries. 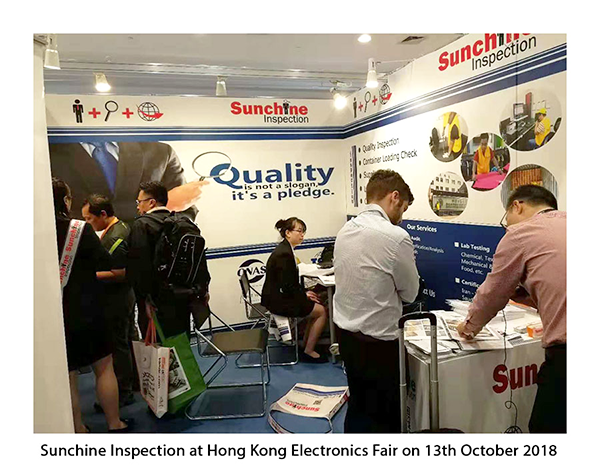 Sunchine Inspection is part of Sunchine International that provides to companies from the five continents, all the tools and services they need to maximize the security of their purchases and production in China and many other Asian countries. 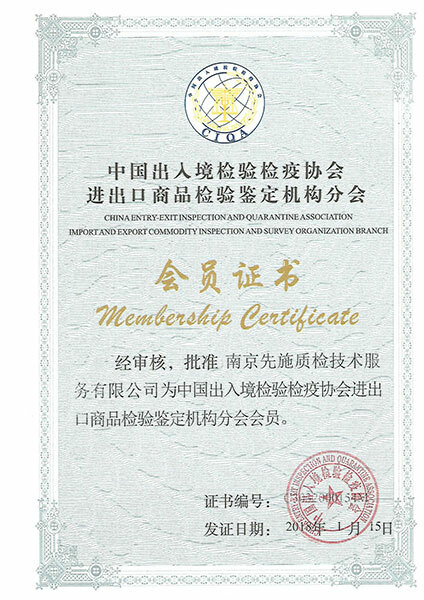 ISO 9001:2008 certified and managed by a dynamic Chinese and French team, Sunchine International is very aware of European and American standards in matter of product quality which are a bit different from those implemented by Asian factories. Well-established in the most active industrial regions of China for many years, we have two executive offices one in Nanjing and another one in France which covers all the European countries and, also takes care of our American and African clients. The other branch of Sunchine International is Sunchine Consulting founded in 2003 by François Shi, the actual Managing director of Sunchine International Co. Ltd. Therefore, Sunchine International has the necessary resources and expertise to support foreign buyers all along the purchasing and producing process in China and in many other Asian countries. Any Query about our inspection and certification services? Or do you need some advice to make sure the compliance of your goods with your export markets? Or do you need some help from experts to resolve quality issues and improve your production quality in China? Please, feel free to contact our offices in China or in Europe. We will be pleased to advise you. I am fluent in English, French, Italian, Spanish and have good notions of German and Portuguese languages. With an extensive background in international trade and quality control management in Europe and Asia, I can advise you on how to reduce the import risk at the maximum when buying from China or from other Asian countries. You're welcome to visit us our office in Nanjing and can also meet us at Trade Shows, such Hong Electronics Fair and Canton Fair in April and in October. We commit to protect you against the risks of getting defective or hazardous products when purchasing in China and Greater Asia. Sunchine Inspection has the required expertise to help you check the status and the quality of your products to make sure that you will finally get the products and quality as ordered by you. With teams carefully selected and well-trained, we have the required qualifications to help you to find solutions to improve your quality of production in China and Asia and ensure the satisfaction of your customers. We don't offer the better prices, but we apply European and American Quality Standards strictly and commit to offer you the best inspection services in Asia. Moreover, Sunchine experts can advise you all along the buying and production process in China and in many other Asian Countries and we are qualified to provide you product certifications. 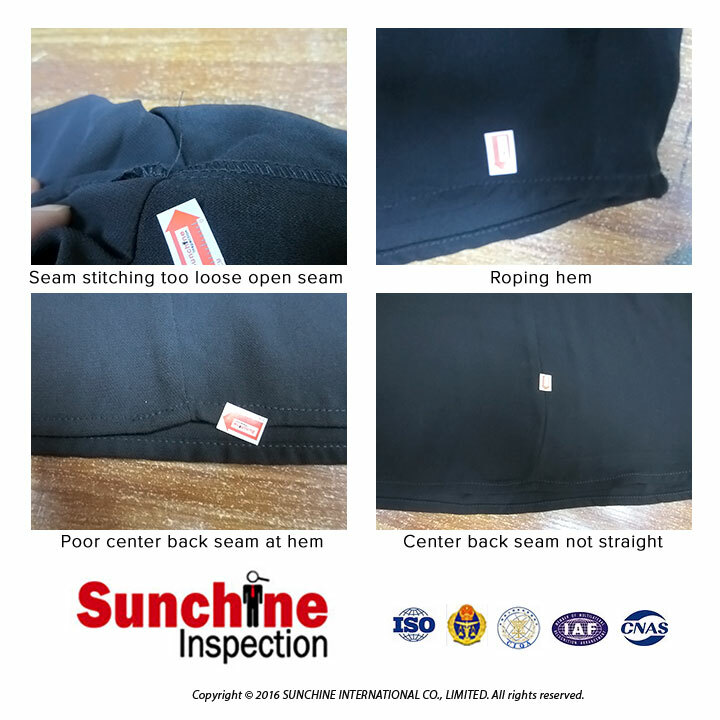 By selecting Sunchine Inspection fully certified inspection company as your quality partner, you are protected; all Sunchine Inspection Reports have legal effects and are accepted by Authorities. All the photos illustrating this ad are extracted from Sunchine Inspection's factory audits and inspection reports. These reports can be sent on requests to international buyers looking to work with a serious and efficient inspection company in China and in Asia.